of dairy products with the launch of packed cow milk, butter, curd, cheese and other milk products. The packed milk would be sold at Rs 40 a litre instead of the current market rate of Rs 42, Baba Ramdev said. Ramdev's company also launched frozen vegetables such as peas, sweet corn, solar panels, French fries. The company would also have packaged drinking water Divya Jal, which will be available in pack sizes of 250 ml, 500 ml, 1 litre, 2 litres, 5 litres and 20 litres. Addressing a press conference after the launch, Ramdev said Patanjali will also introduce 3,000 types of apparels and footwears for all classes people on Deepawali. 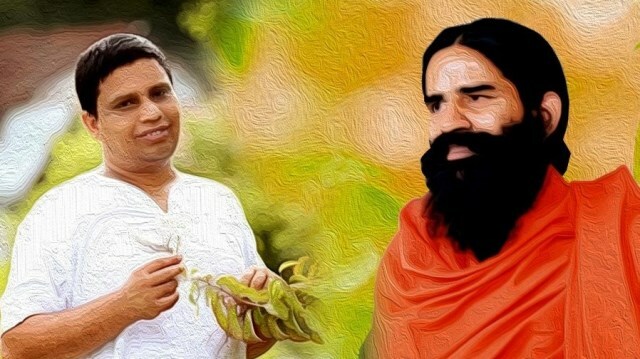 "Patanjali will launch all type of fashion wears -- from langota to dhoti and saris to jeans. His company will bring all daily necessities into the market." He said the clothes worn on auspicious occasion of wedding will also be presented exclusively. Along with this, Patanjali will also come in footwear business.With today's launch, the company is expected to generate around Rs 500 crore by the end of this fiscal year and around Rs 1,000 crore by 2020. Patanjali has, in the first phase, launched these FMCG products across Delhi-NCR, Mumbai, Pune and Rajasthan. Patanjali produced 4 lakh litres of cow milk on the first day of its operation itself and will soon start selling milk in tetra packs.